Sephora Buy Goodies and Get This Awesomeness!! 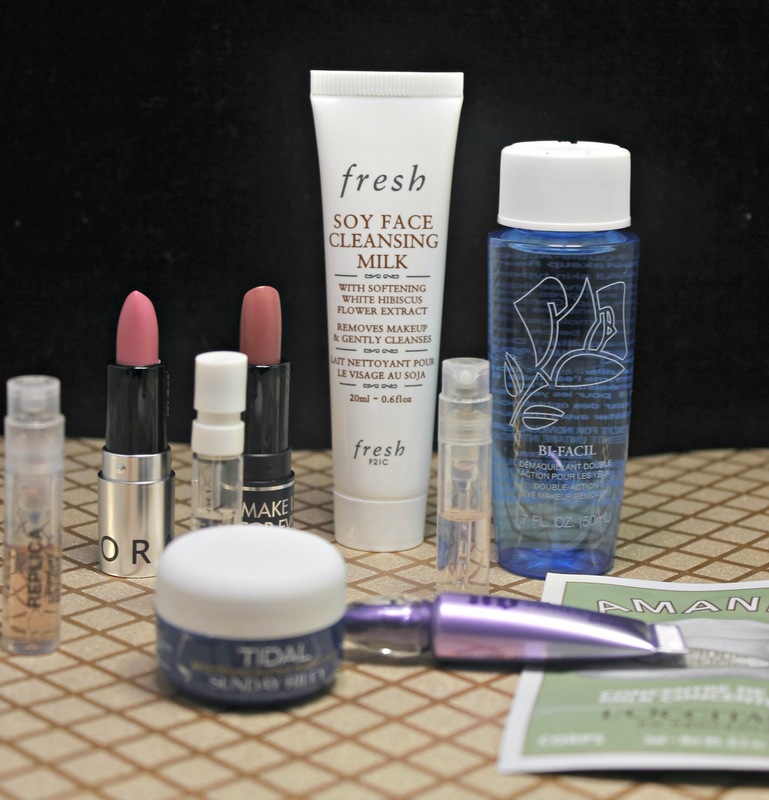 Who doesn't love freebies from Sephora? I'm pretty sure that's the only reason that I buy sometimes. The fantastic freebies! 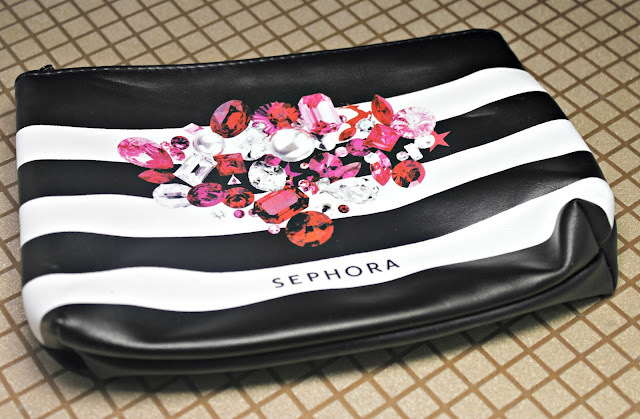 This little clutch packed with products was a spend $25, get this bag. Let's see what we had in this little baby. First, the bag itself is super cute. It's a black and white faux leather clutch with a blinging design on the front. I got three perfume samples. As you can see, they were half full samples but they do the job. 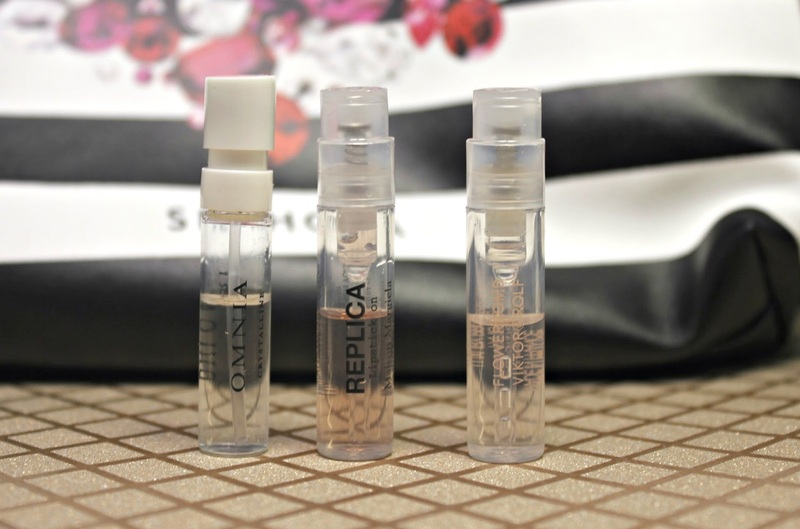 I love these little samples to give me a variety of scents to try and if I really like them, I upgrade to the full size. 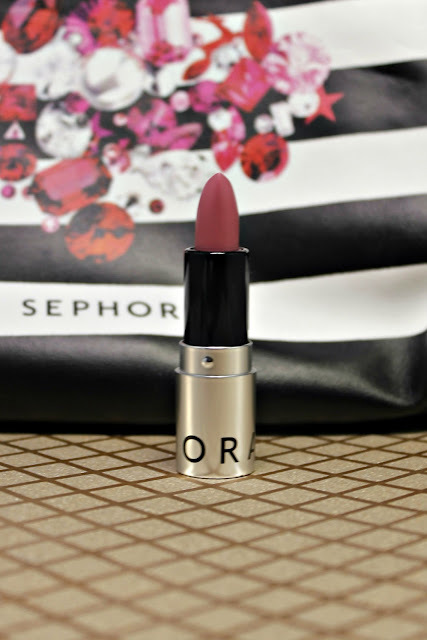 BVLGRI-Omnia, REPLICA- Lipstick On and Viktor Rolf- Flowerbomb. I actually ended up getting the deluxe sized Viktor Rolf. These samples will go up into my sample farm and be used in a rotation that I have weirdly set up. 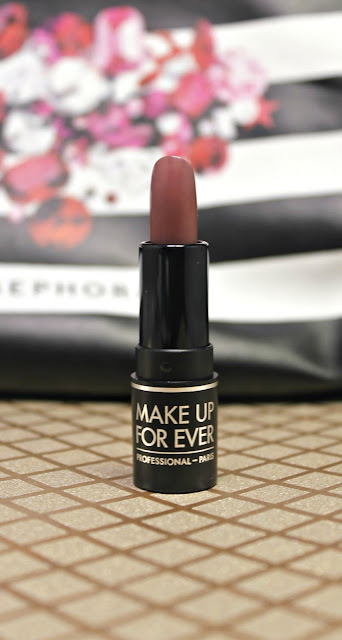 Next is Make Up For Ever lipstick in a mauve berry color. I honesty forgot the color, but I will get the name of it and share with you when I do. I am in love with this color because it just melds perfectly with my skin tone. I do prefer it as a matte, but this satin is mine for the winter. 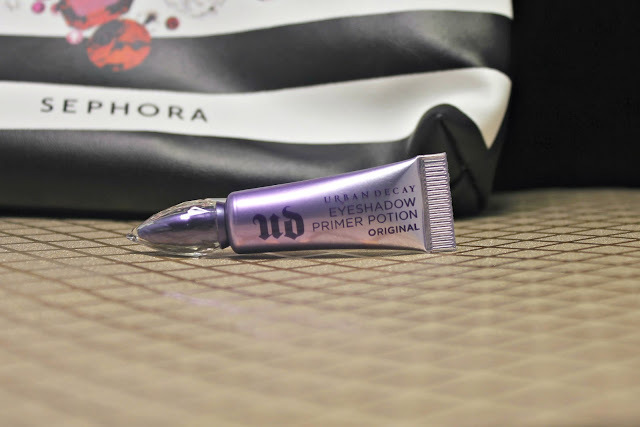 The Urban Decay Eyeshadow Primer was a must try on my list. I have a couple different primers, but they are all in pots. I was excited to try one in a tube. I have this thing with potted products and sanitary procedures, but that's a different story. 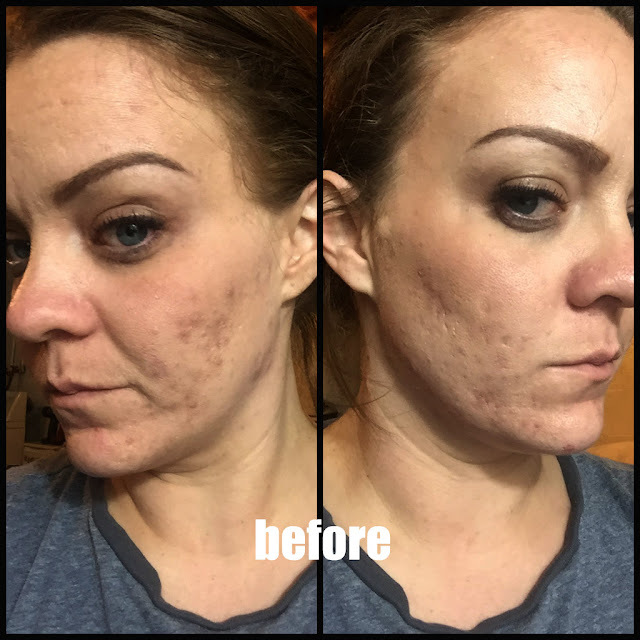 This is easy to apply and I actually used a brush to dab it on. A finger would do, but a brush makes it go a little faster. The Tidal Brightening Enzyme Water Cream from Sunday Riley is a brightening and refining cream. 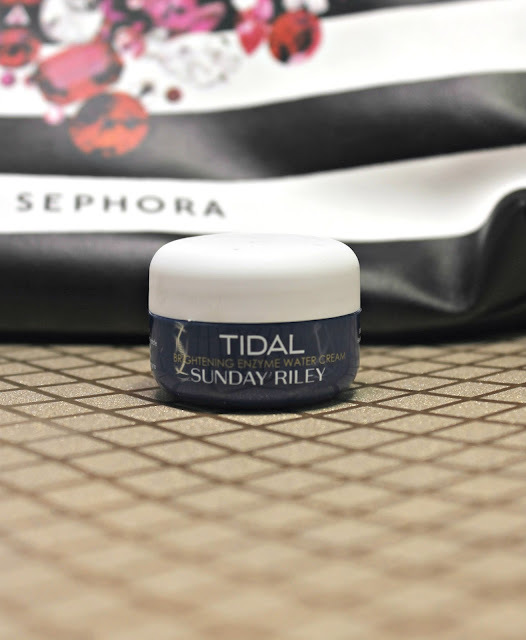 The water-based cream helps with dark spots, fine lines and wrinkles. This is a decent sized sample, so I cannot wait to use it. This could potentially turn into a full sized buy for me. Sephora Rouge Shine in the shade no. 14 Love Spell is a pretty dusty rose which I also happen to love. I don't love that it's an ultra shine, but I can fix that with my own little mattifying formula. The color is too pretty to not use. I probably won't be buying a full size, but it's enjoyable for now. 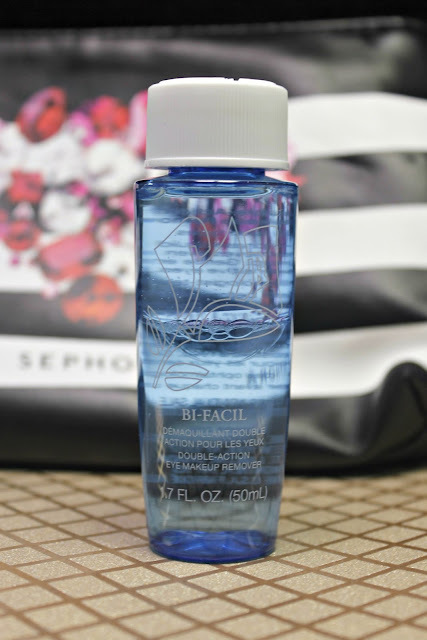 Lancome Bi-Facil Double Action Eye Makeup Remover is just what I needed. This is a giant deluxe size that will be perfect to try out. It's cooling feeling and doesn't leave that oil slick on your eye lids. Plus, it's Lancome and that's always a good buy. Last is something that I have tried before and used all of. 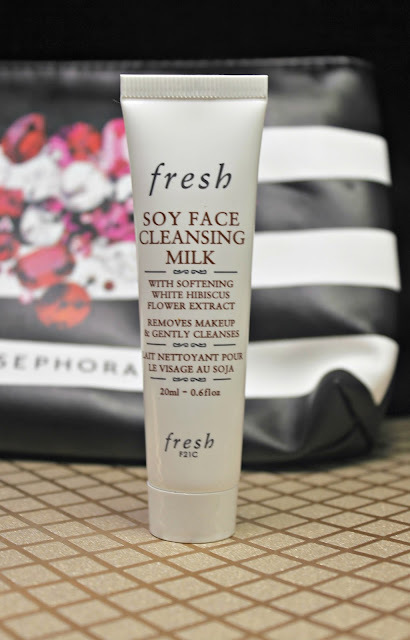 I am glad that fresh Soy face Cleansing Milk walked back into my life. This is good for whatever mood my skin is in. Dry, oily, combination, it helps it all. It smells wonderfully muted and leaves my face feeling silky smooth.